We’re thrilled to welcome Andrea Terrassa to 360i as our Chief Operating Officer. Andrea will serve as a key member of our executive team, responsible for driving growth and efficiency across all capabilities and clients. Andrea joins us from Red Fuse, a WPP agency that integrates multiple companies and capabilities to service one of the network’s largest global clients. 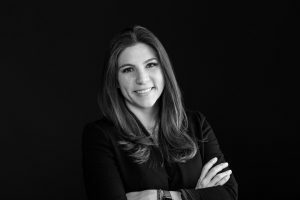 As a founding member and Chief Operating Officer at Red Fuse, Andrea was instrumental to the construction and evolution of the company and played a leadership role in areas including client contracts and contractual compliance, finance, reporting, delivery, project management, production and information technology. Andrea was part of WPP for nearly 20 years, having joined Y&R from its Colombian subsidiary in 2000 before moving to New York in 2002. During the first half of her career with WPP, Andrea held varying local, regional and global roles in Account Management and Client Finance. In 2009, upon receiving her MBA from Columbia Business School, Andrea formally made the move into Operations. Andrea’s appointment is the latest in a series of promotions and new hires amongst our executive team, including Raig Adolfo joining as Chief Strategy Officer , Sarah Hofstetter moving into a role as Chairwoman, Jared Belsky becoming CEO, and Abbey Klaassen being named President of 360i NY.